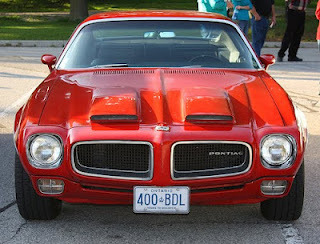 Muscle Car of the Week: ’71 Firebird! If you’re familiar at all with muscle car restoration in Los Angeles, then you definitely know your way around the inside of a Firebird. This might be especially true of the 1971 models, as in that year there were over 53,000 produced! This is one reason that the ’71 Firebird remains a popular auto restoration choice in Los Angeles, as well as the rest of the country – there are just a ton of them still available in decent, ‘recoverable’ condition. Another reason though, is that the 1971 Pontiac Firebird was marked as maybe the last generation of ‘true pony cars’ of it’s type. As of 1972, the government would begin regulating engines and emissions for autos, ruining performance stats and sales numbers for most manufacturers of the day. As a result, the pony class of cars would all but vanish by 1975. In fact, the regulation began to take shape in 1971 when all cars manufactured were required to be able to run on unleaded gas. This forced Pontiac to scrap two of it’s Firebird engine types from the previous year and replace them with a 455 cubic inch V8 option. There were two versions of this new engine. The bigger of the two was the so-called “H.O.” model that produced 335 horsepower during chassis dyno testing. This came standard in the Trans Am model, which was by far the ballsiest, although it didn’t sell exceptionally well in ’71 (probably due to it’s high price tag). The other three models available were the Coupe, the Espirit, and the Formula 400. Most likely, if you’re looking for a ’71 Firebird to restore, you’re going to come across either the Coupe or the Espirit as both of these models had over 20,000 produced that year. With four models to choose from, you’re going to find the Firebirds ranging from all sorts of asking prices. Depending on the model and the specs, we’ve seen fully restored FB’s go for up to $40K at internet auction.